Summertime and the livin’s easy… until it’s so hot outside that you can’t sleep comfortably at your campsite. We know there’s nothing worse than a poor night’s sleep, which is why we compiled our favorite tips and tricks for staying cool while you get some zzz’s. When spending extended amounts of time in hot weather, it is imperative to know the region and what the climate will be like at all times of the day. If you’re headed to the desert, temperatures can drop significantly at night, and if you’re somewhere tropical an afternoon shower can sometimes turn into a flooded campsite. 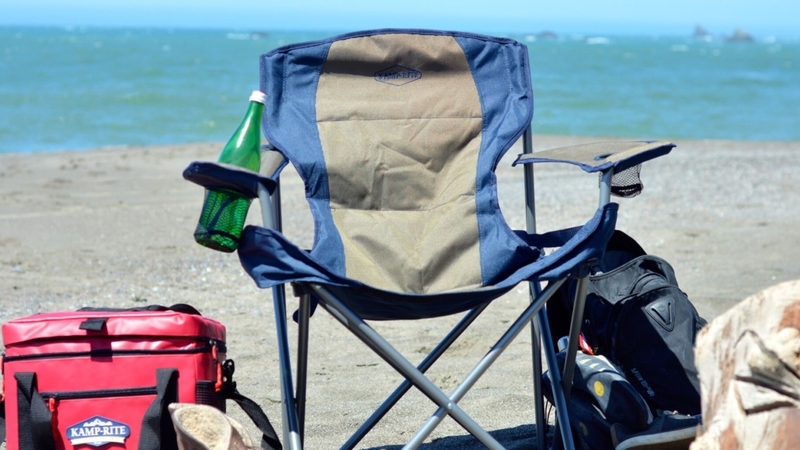 Getting outside and exploring is one of the best parts about camping, but if you’re spending time in a high-temp region, you’ll want to get these activities done at the beginning and end of the day in order to avoid sunburns. When you get a sunburn, your body sends blood to the affected area to heal it. This extra blood flow will increase your body temperature, making you much more uncomfortable at night when you’re trying to relax or sleep. If you do go out in the sun, remember to wear sunscreen! Your mama will thank you. There’s nothing more romantic than sleeping under the stars with your loved one, but if it’s too hot outside you may want to consider splitting up to get some zzz’s. Sleeping next to another warm body can be extremely uncomfortable, so spend some quality time together and forgo sharing a tent to stay cool. Want to take cool sleeping to another level? Make sure you sleep in a tent cot! Getting off the ground allows airflow through the bottom of your tent, making warm weather sleeping more comfortable. The key to keeping food and drinks cold while camping is investing in a nice cooler that can retain ice for longer periods of time. Our second tip is using blocks of ice rather than ice cubes, as they melt much slower. Staying hydrated is one of the most important things that you can do while camping in the heat! In normal temperatures, our bodies need about 2 liters of water a day, so we suggest upping your water intake to 3 liters while spending time in the heat.